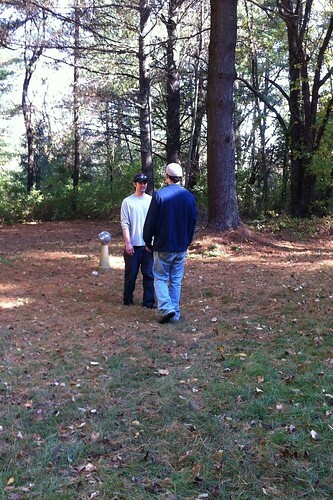 With Halloween just around the corner, it was time again this weekend for the annual Halloween games with one side of Ben’s family. It’s a great event for the kids, but also gives the adults some much-needed exercise and outdoor time. This year, the games were held in the spirit of the Samurai, and each leg of the event taught a different principle. All of the events were devised and strategized by ‘Mimi,’ the Samurai Matriarch of the day. Where I could, I added links below to some resources that are similar to what she put together for us. Divided into teams, the Samurai Warriors set out looking for the items on their lists — a series of spooky doodads ranging from newts to ninjas. The twist in this game was that teams searched while holding hands, as samurais need to stick together. 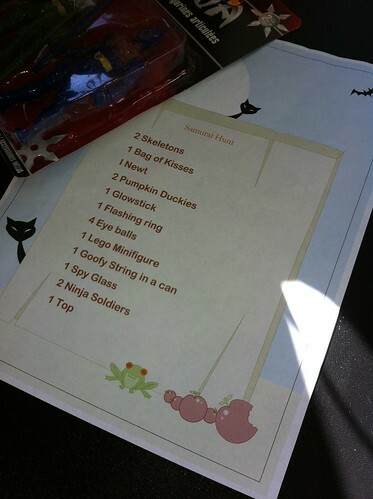 Check out some of the kids’ haul below… love the pumpkin duckies. This game had us asking a talking skull if we could ‘borrow’ his bones, relay style. 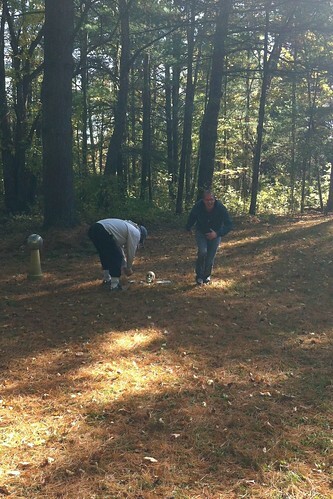 As teams, we grabbed different bones from the pile to create a full skeleton at the other side of the lawn. 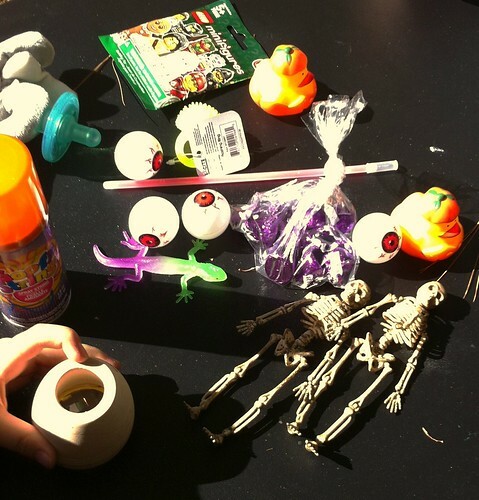 The goal was to create a neat skeleton, with all bones in the right places. 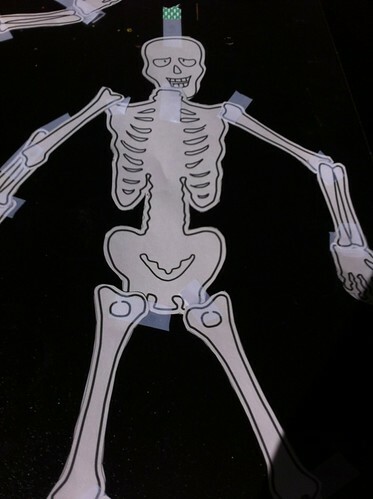 Here’s a similar template for a cut-out skeleton. Before we could get cranking on this game, there was first some spirited debate regarding how fast is too fast for zombies to shamble. There are fast-moving zombies after all, a la The Walking Dead and 28 Days Later. These, it was decided, were garden variety lawn zombies who could only shamble at a moderate speed. 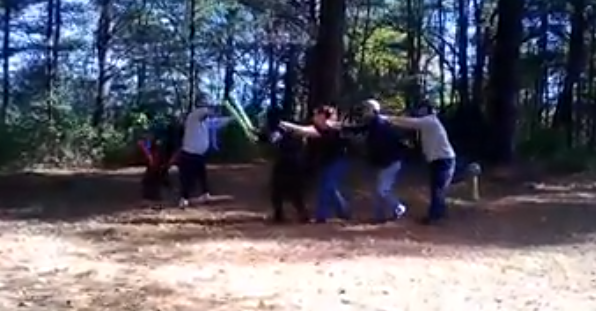 The goal was for the Ninja Centipede – actually a family of Ninjas working to defeat the zombies as a group (the ‘lead’ could tag them with pool noodles, thusly freezing them in place. The rest of the team needed to stay connected). What games are you playing this Halloween season? Leave links and tips in the comments!